"IXL is the Web's most comprehensive math site. Practice almost any kind of fractions skill you can imagine--for free! Teachers: the site offers a free 30-day trial with many benefits. 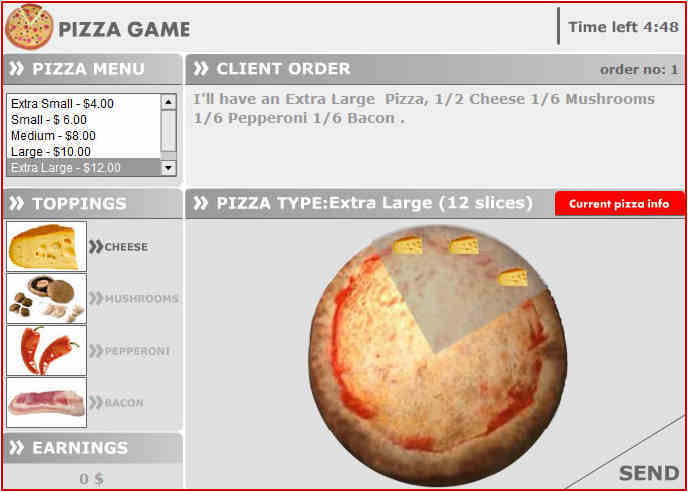 www.ixl.com"
Fill each customers pizza order. Place the correct toppings on each pizza according to the identified fractional portion requested by the customer. Get ready for a Pizza Party! 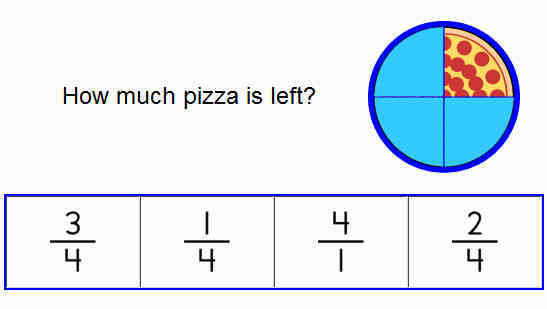 Click on the fraction that shows the amount of pizza that is left. This game has 10 questions. 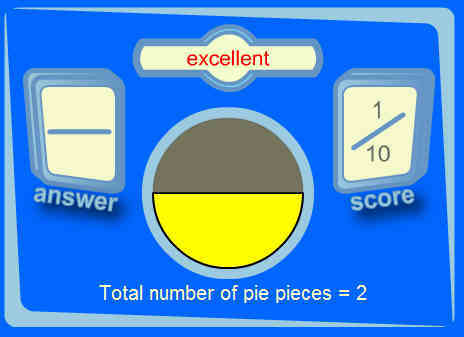 A fast paced and exciting game for practicing fractions. How much of the pie is left? Enter the amount, and then use the pies to hit the turkey as they try to escape. 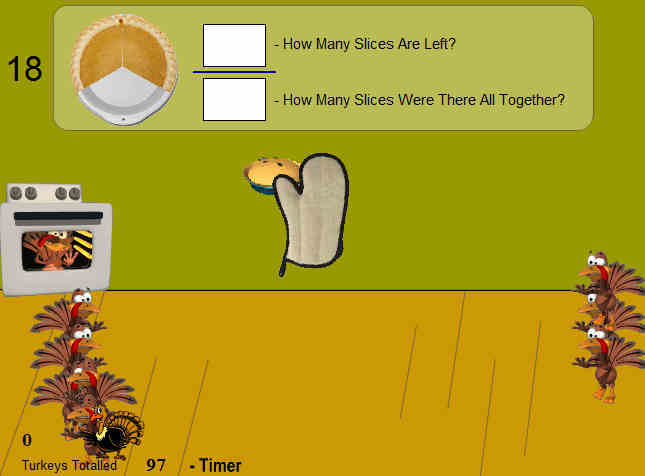 Use your mouse to move the oven mitten, use the left mouse button to shoot pies at turkeys. If you run out of pies, you must answer a fraction question to reload. Provide the fraction for the given picture.